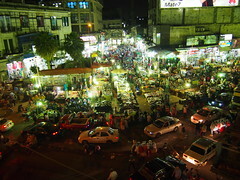 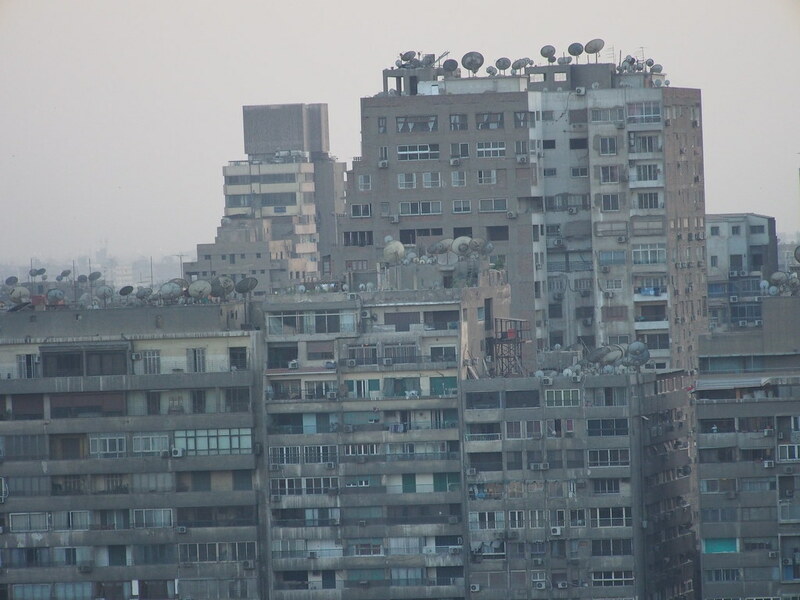 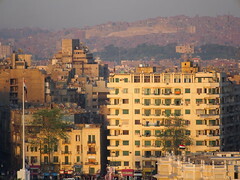 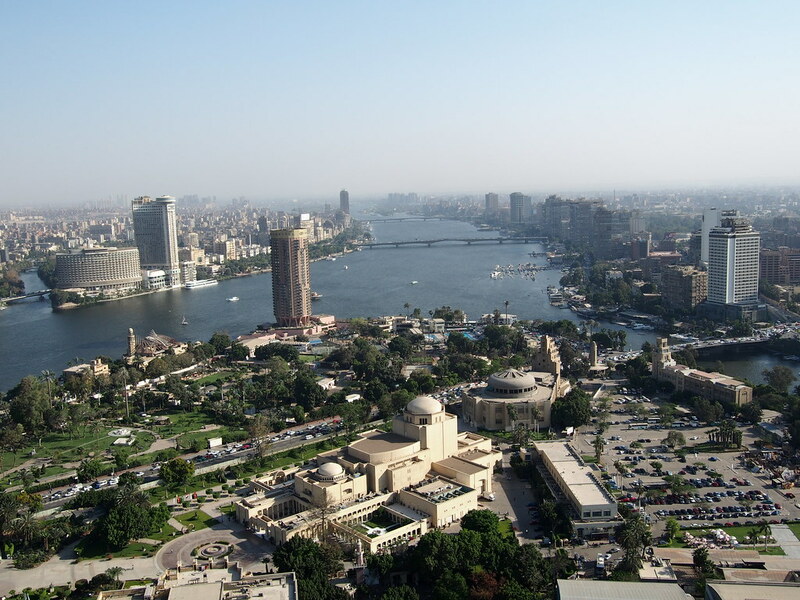 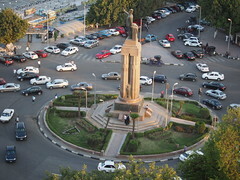 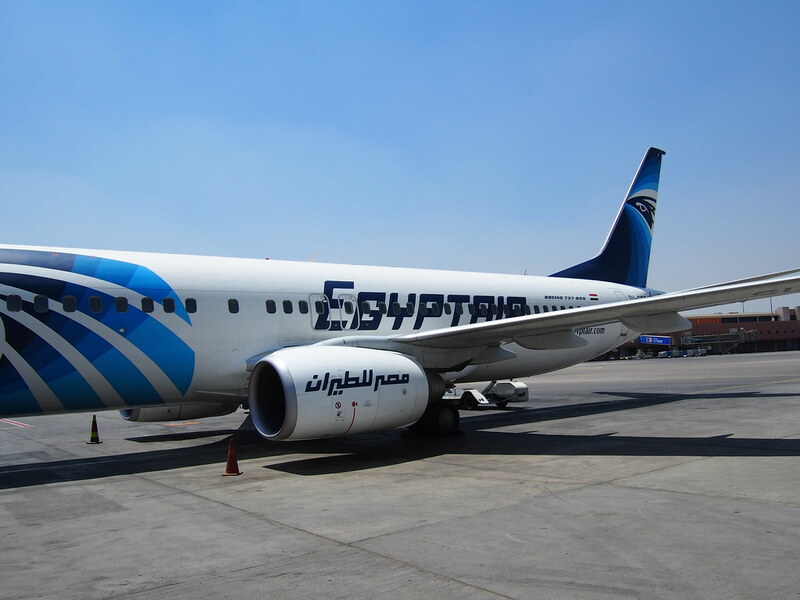 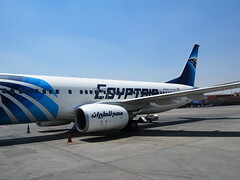 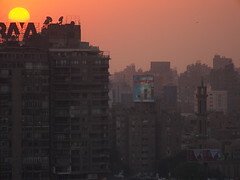 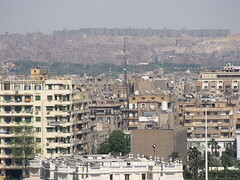 Cairo is the capital of Egypt and the largest city in the Middle East and second-largest in Africa after Lagos. 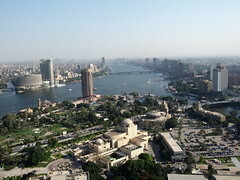 Its metropolitan area is the 13th largest in the world. 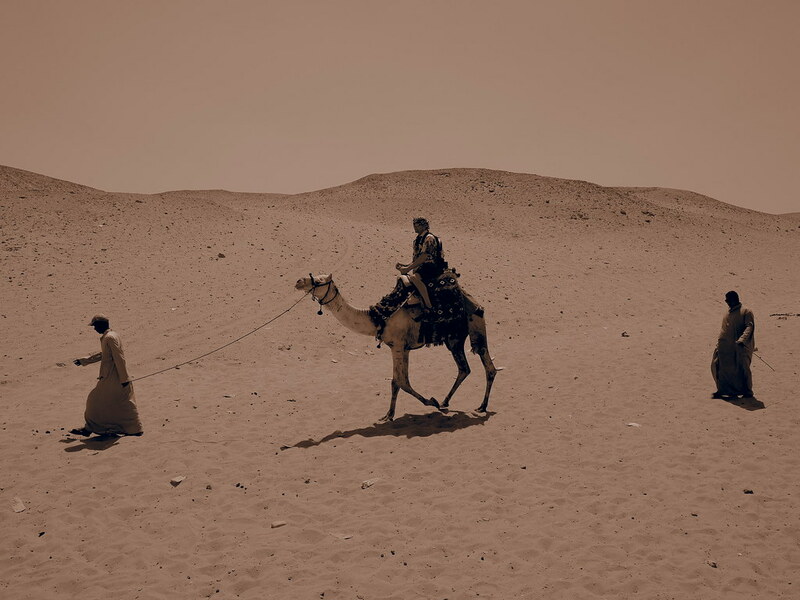 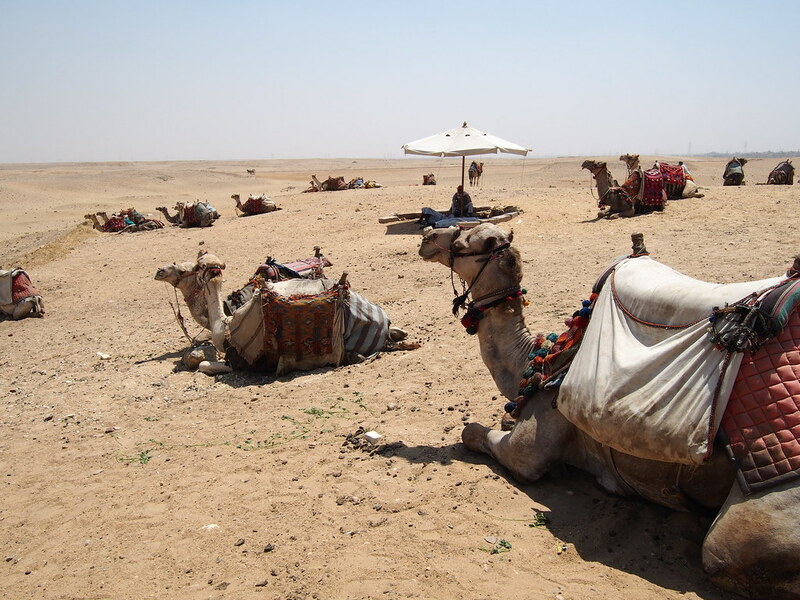 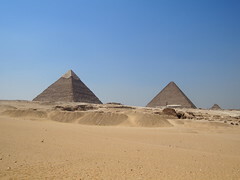 Located near the Nile Delta it was founded in 969 CE. 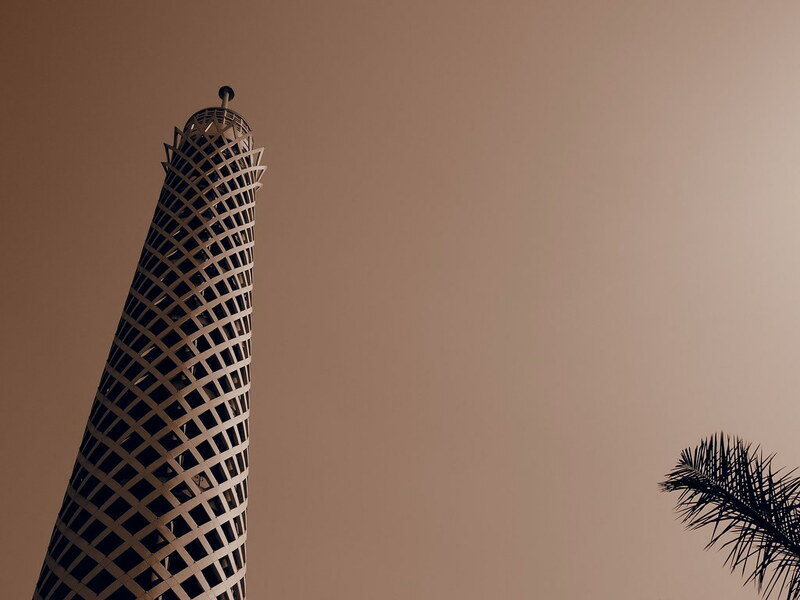 Nicknamed “the city of a thousand “minarets” for its preponderance of Islamic Architecture. Cairo dominates Egypt with one of the worlds highest population densities, its minarets dominate the skyline and ancient obelisks and extraordinary works of art greet you in the most unlikely places. 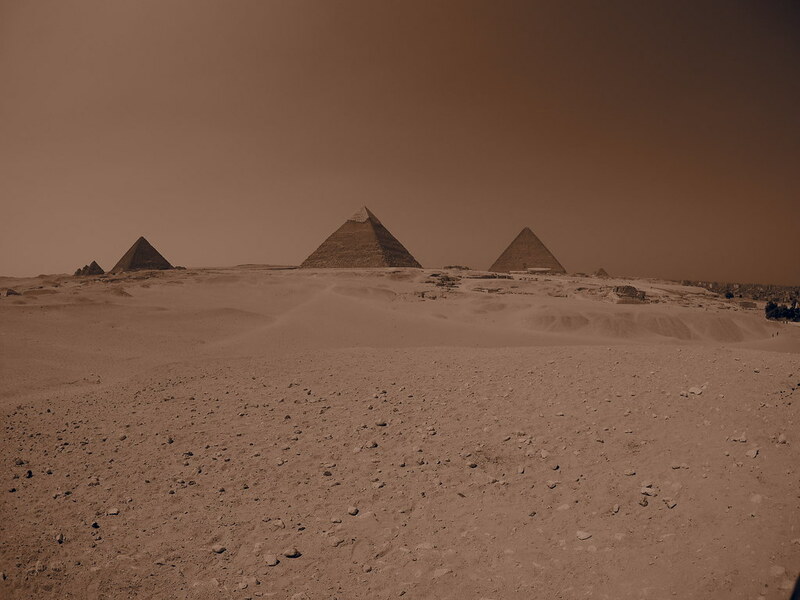 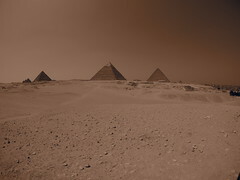 The only remainder of the seven ancient Wonders of the World, the pyramids of Giza, is situated in the outskirts of Cairo. 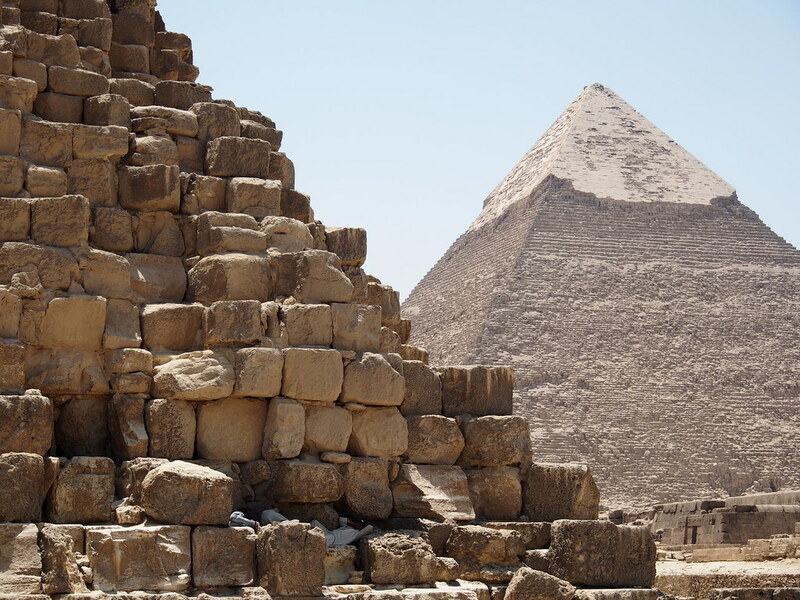 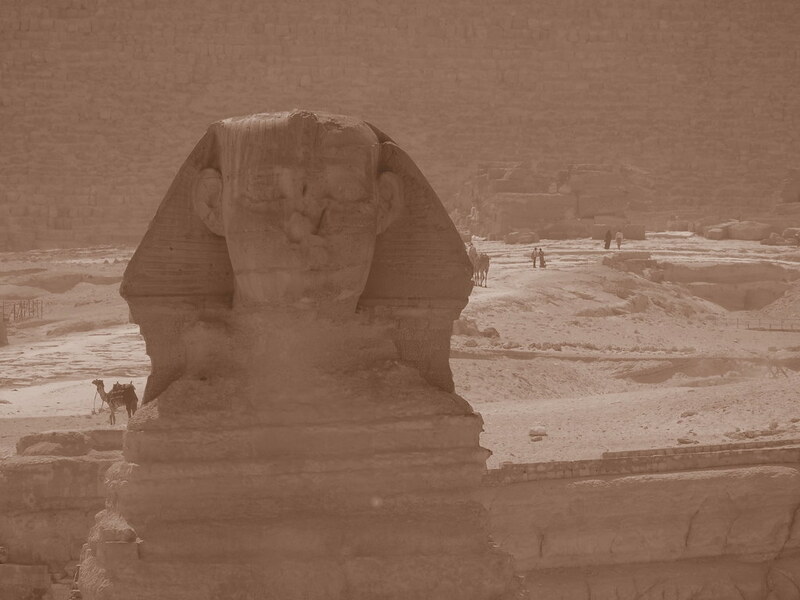 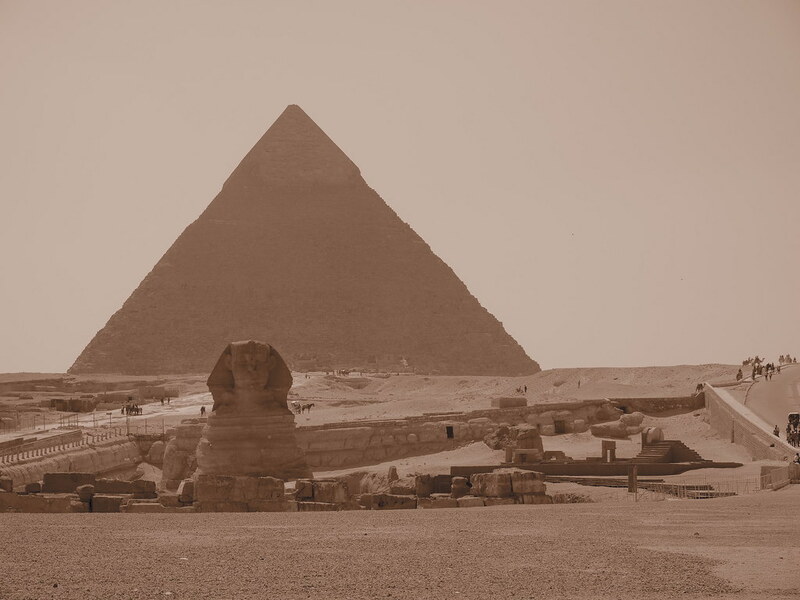 Not only many great historical monuments and ancient museums exist in Cairo but also the great Sphinx and ancient cities like Giza, Memphis and Fustat are situated near it. 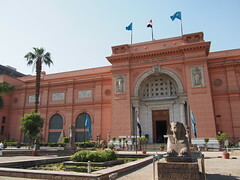 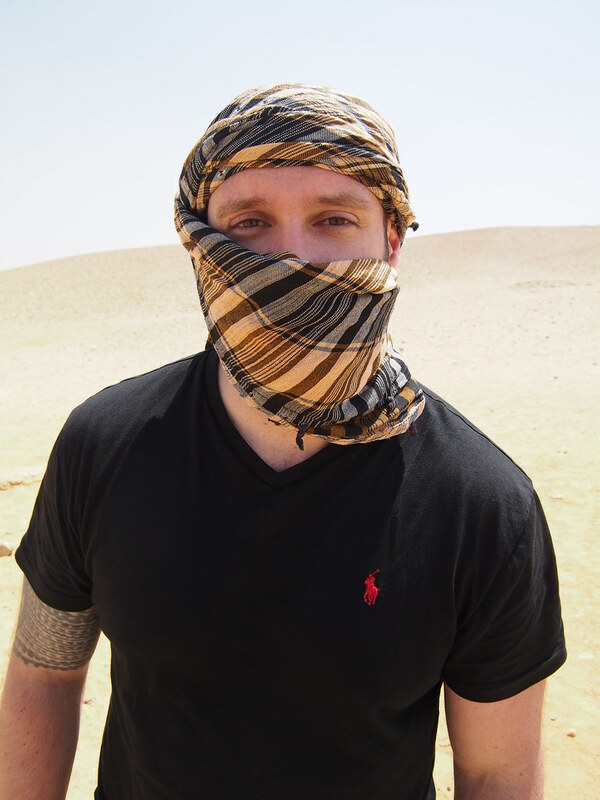 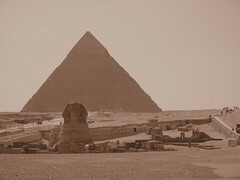 For a leesson in history, visit Cairo! 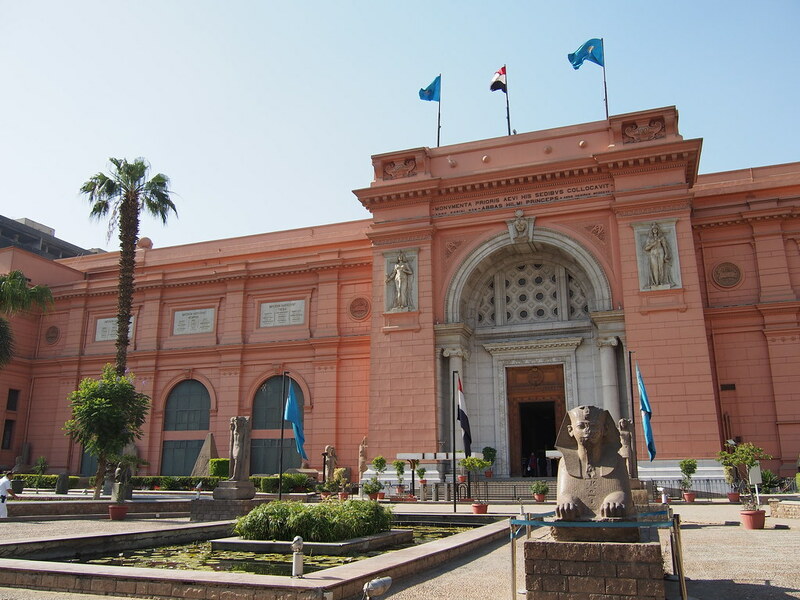 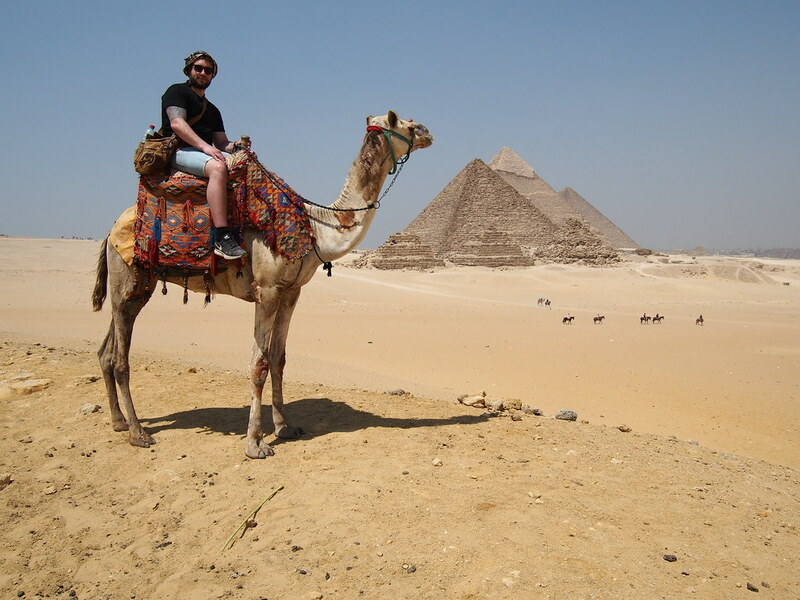 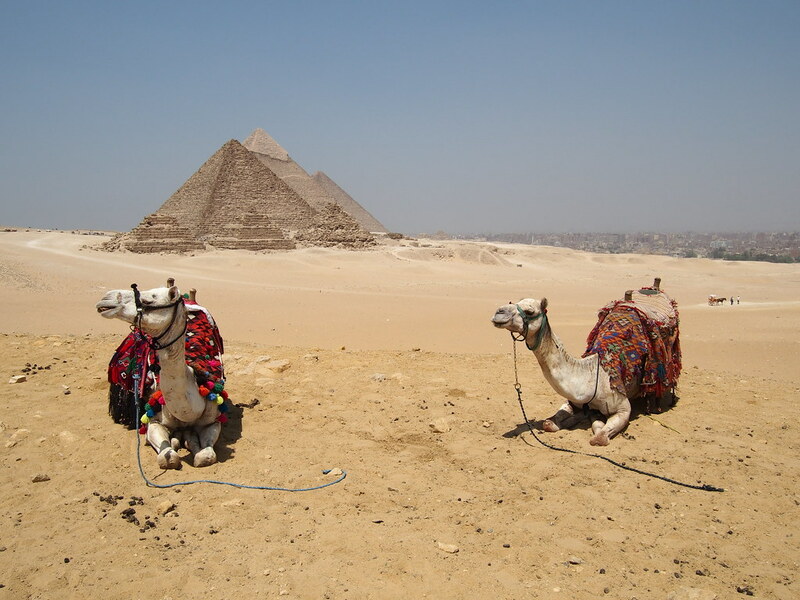 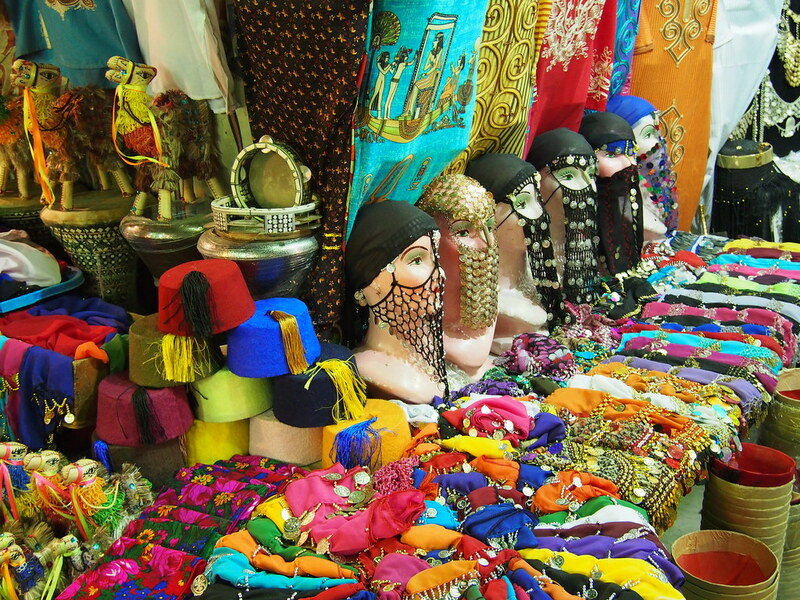 5 THINGS TO DO IN CAIRO! 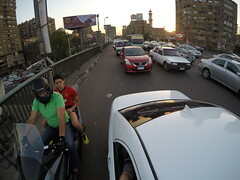 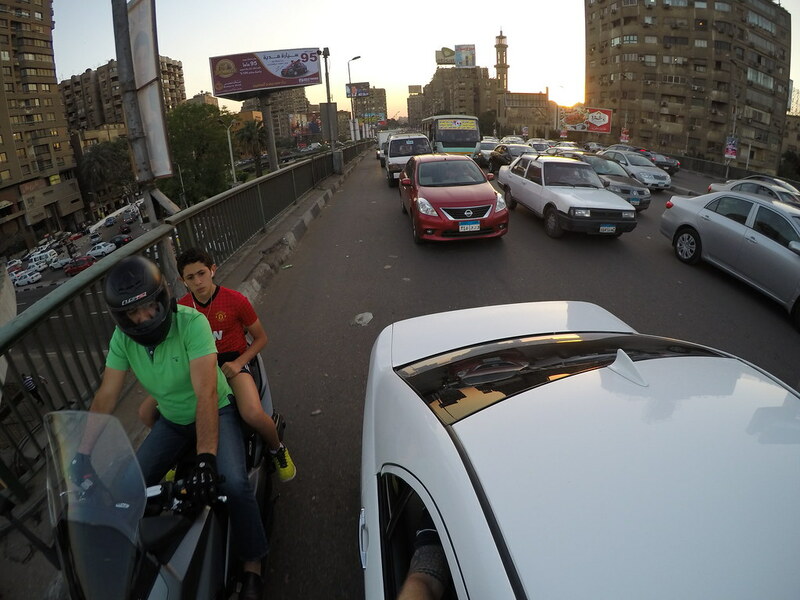 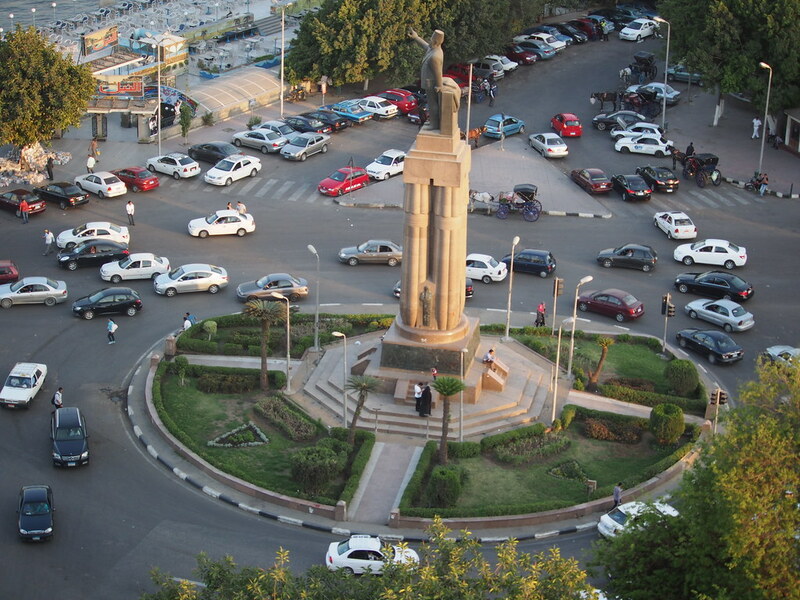 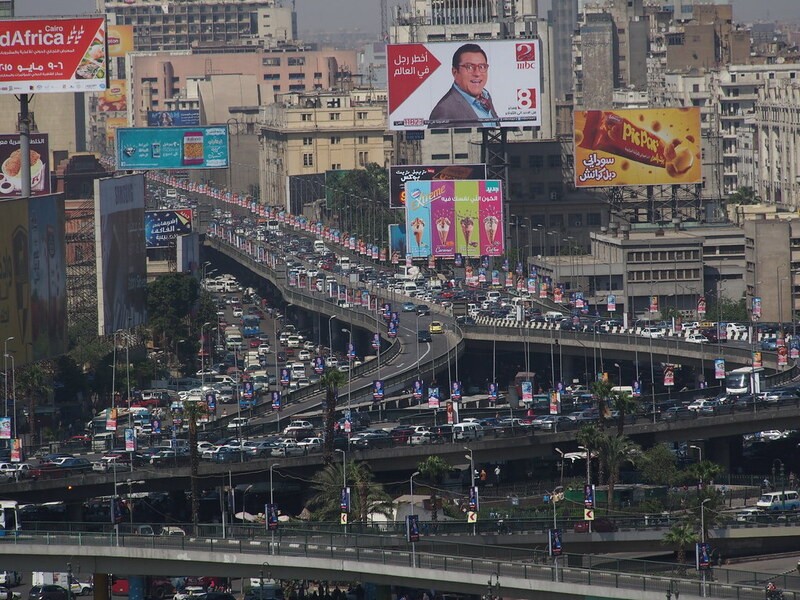 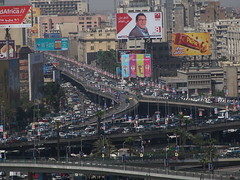 Traffic in Cairo is terrible! 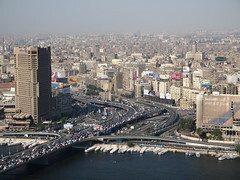 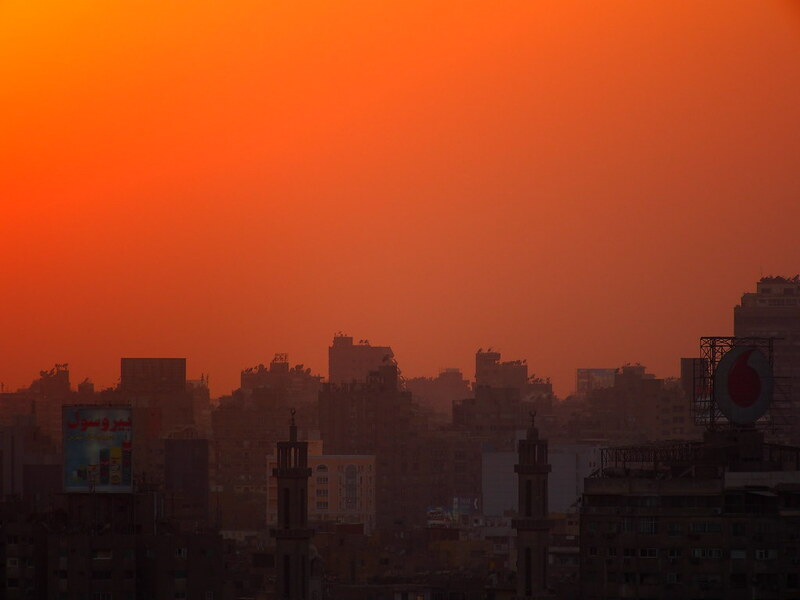 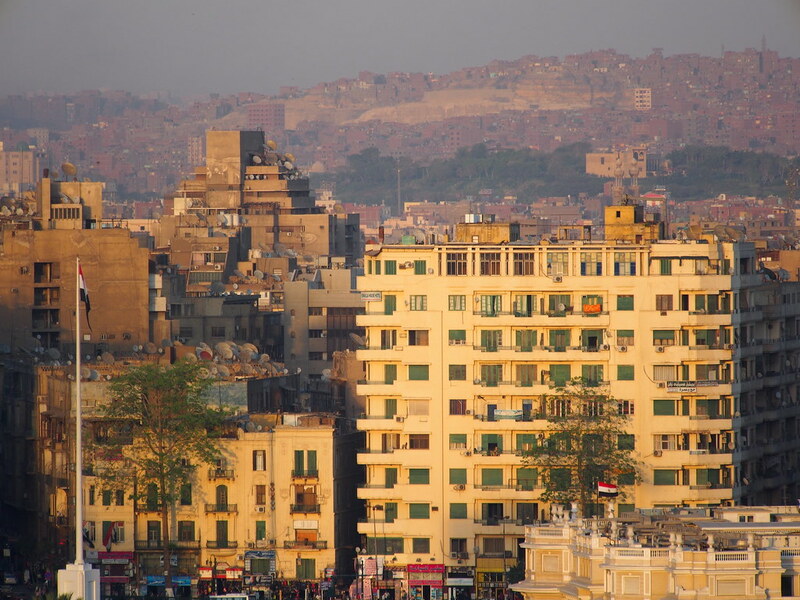 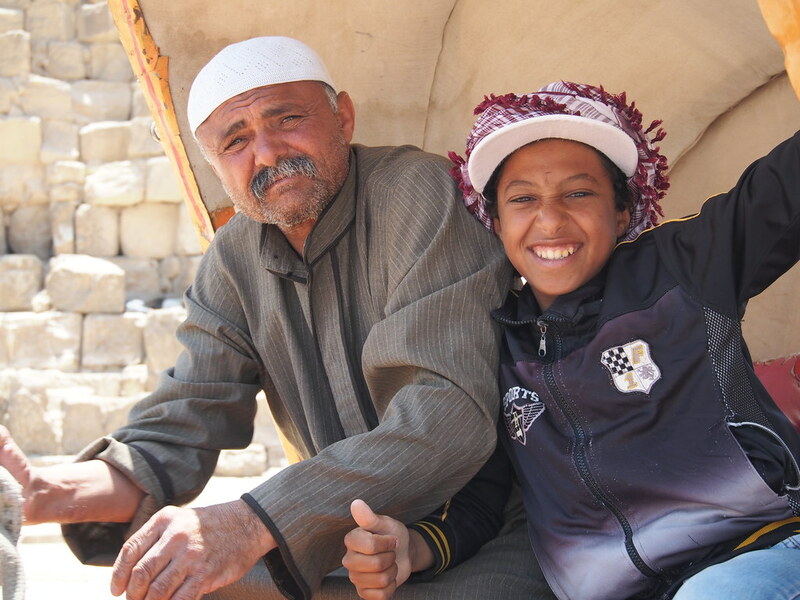 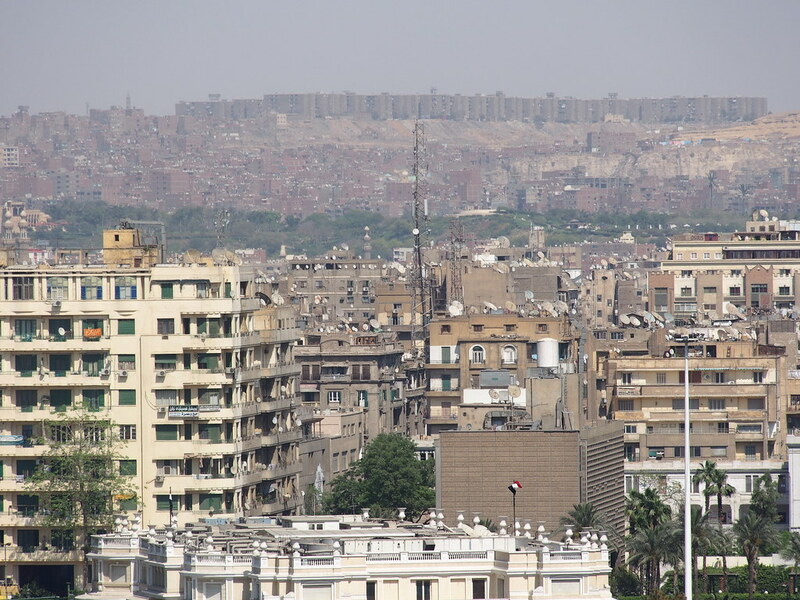 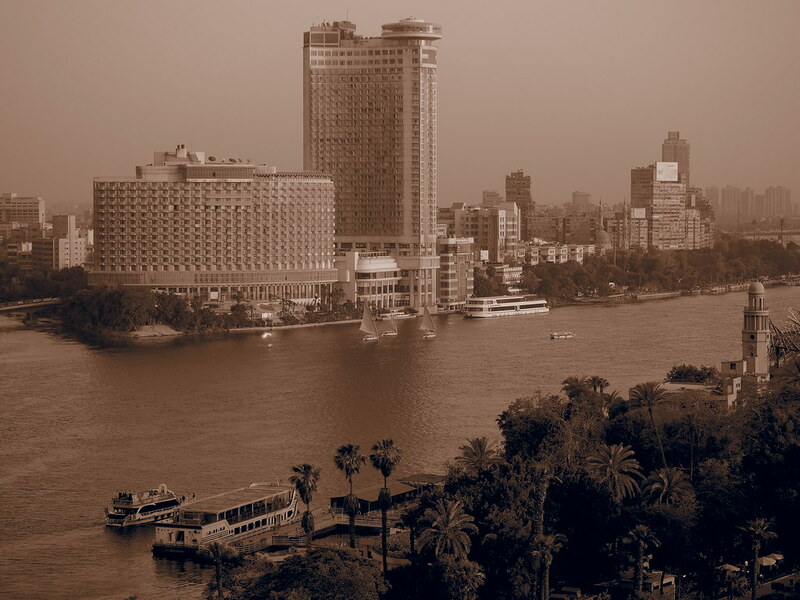 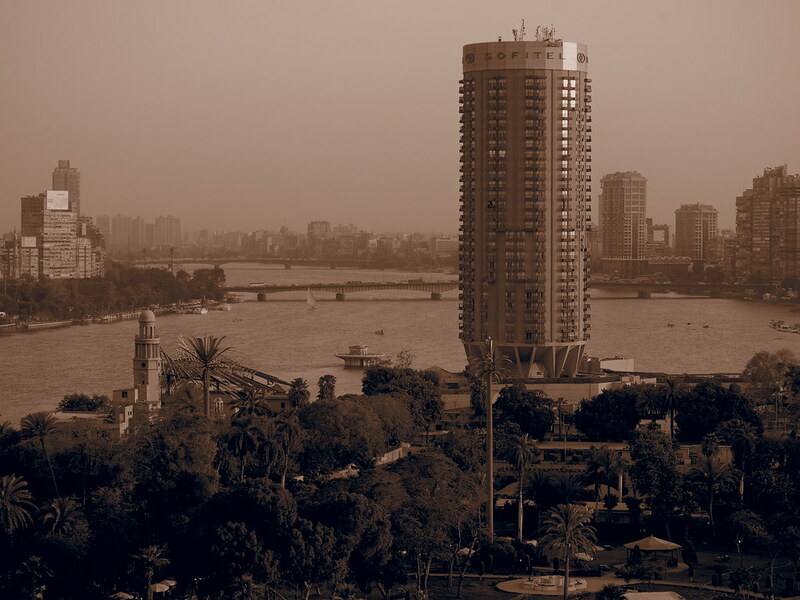 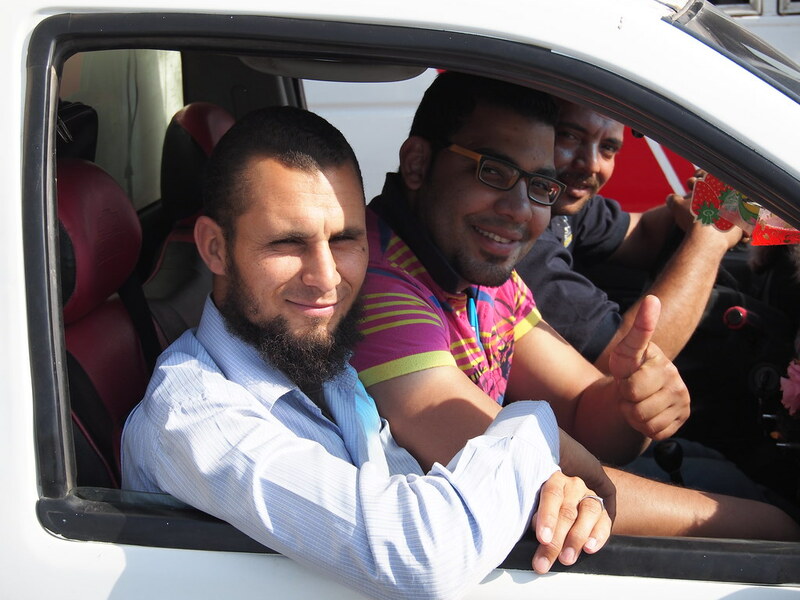 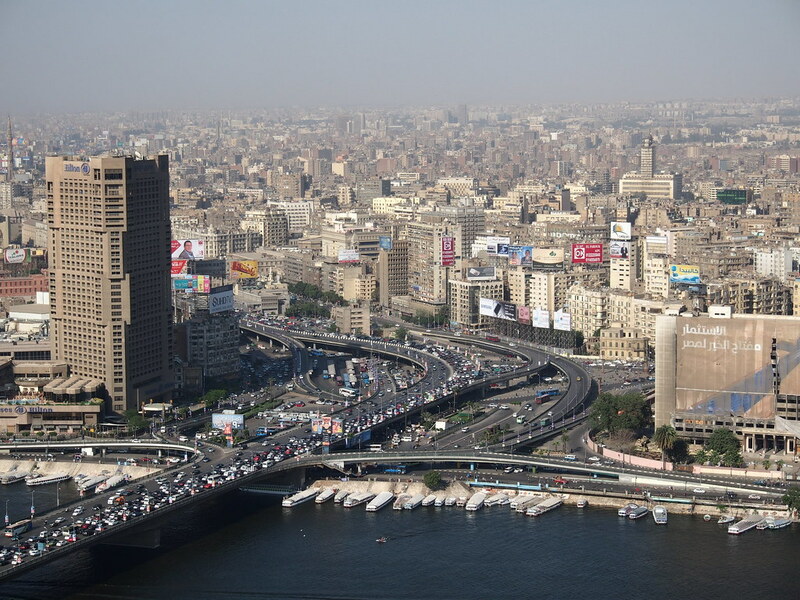 Cairo is one of The largest cities in The world with 18 million citizens! 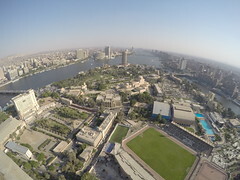 View against The pyramides from Cairo Tower! 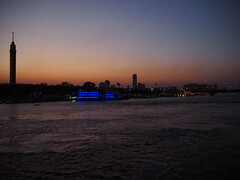 Cairo Tower and The Nile river! 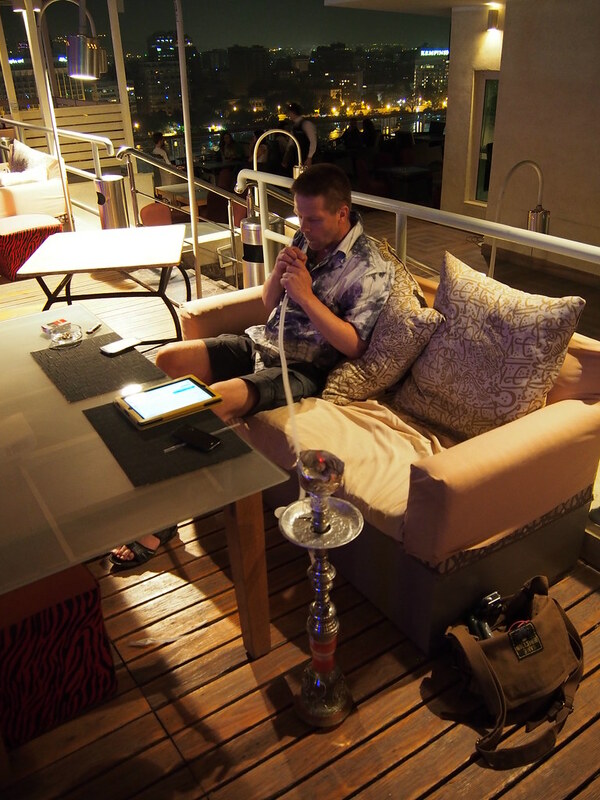 Tor Erling having som Sheesha on our hotel rooftop, Cairo! 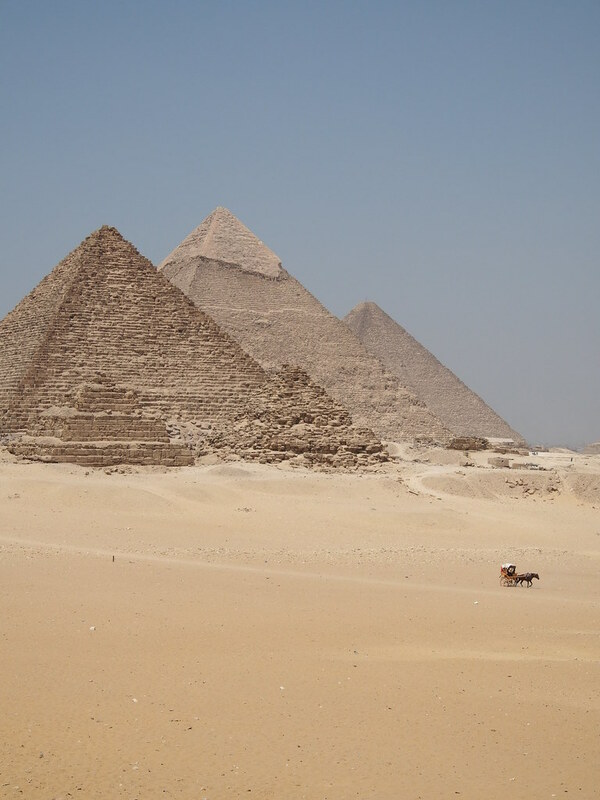 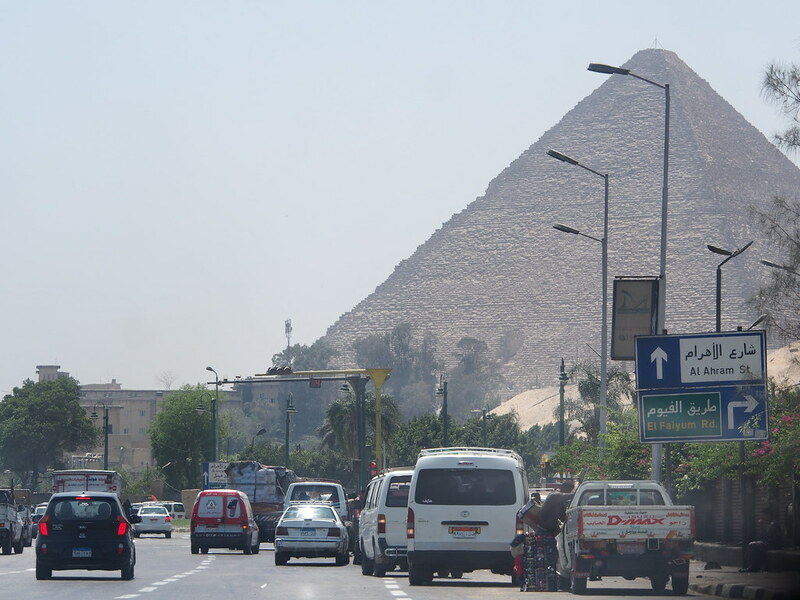 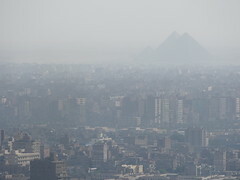 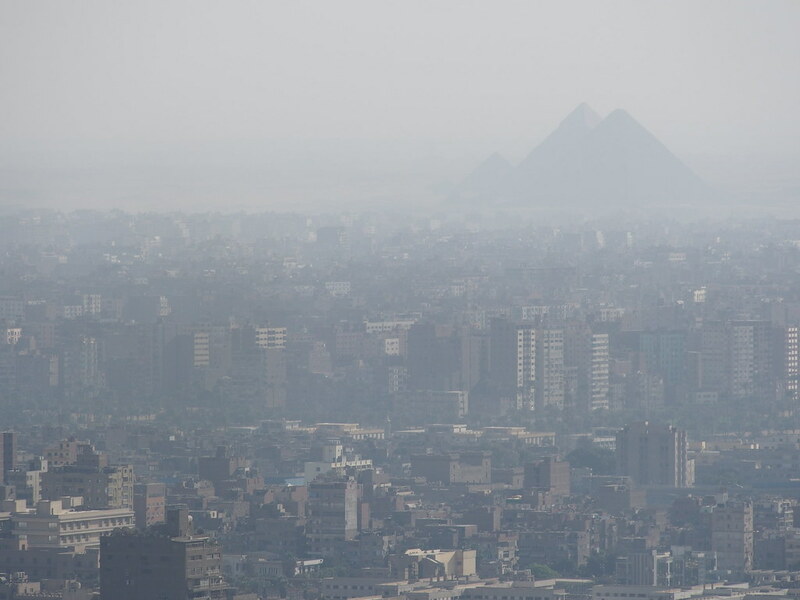 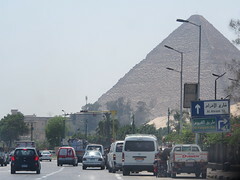 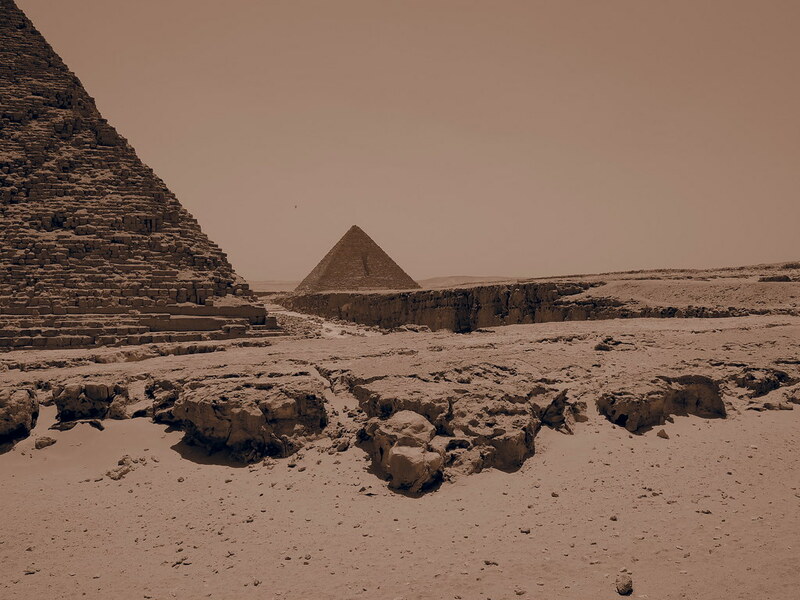 People think The pyramides are far away from The city center, but here you see how close they are to Giza! 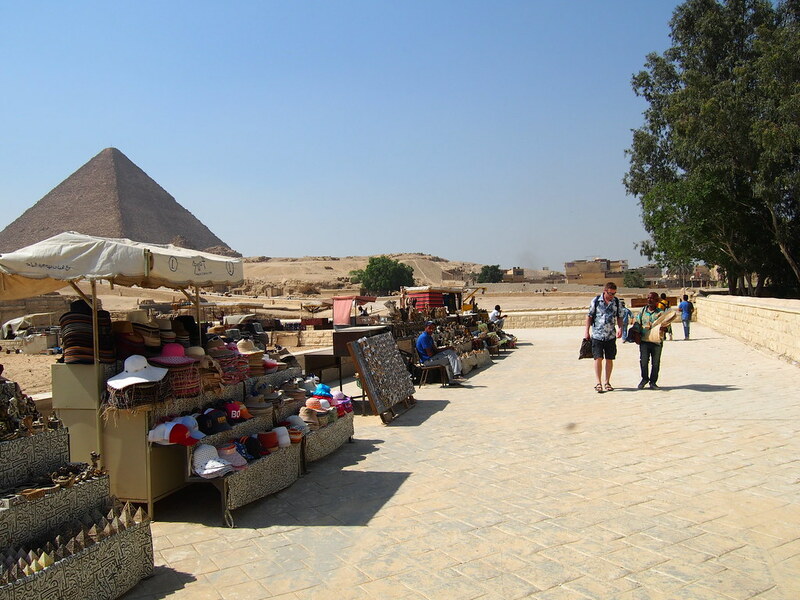 Hawkers wanting tourist to take pictures of them for thereafter ask for money! 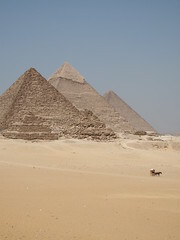 Building these structures where one of the biggest achievements mankind have done! 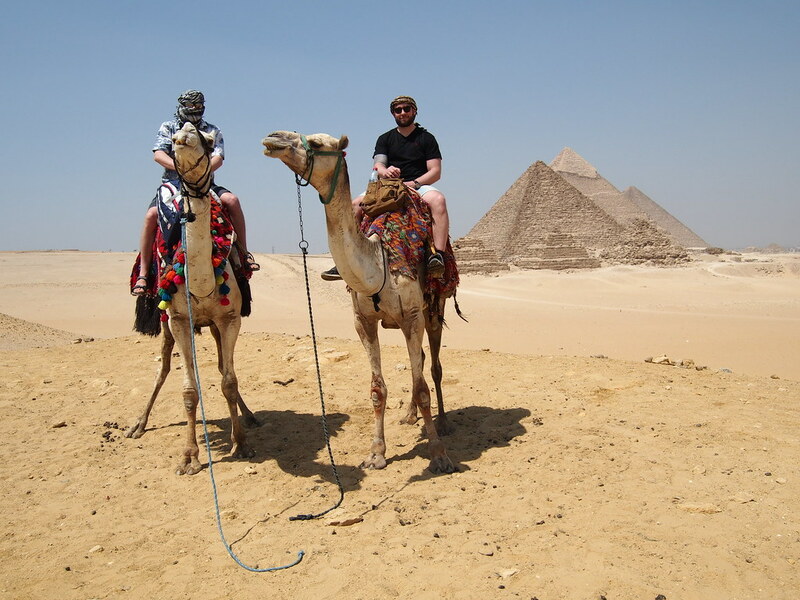 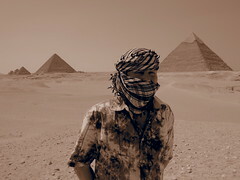 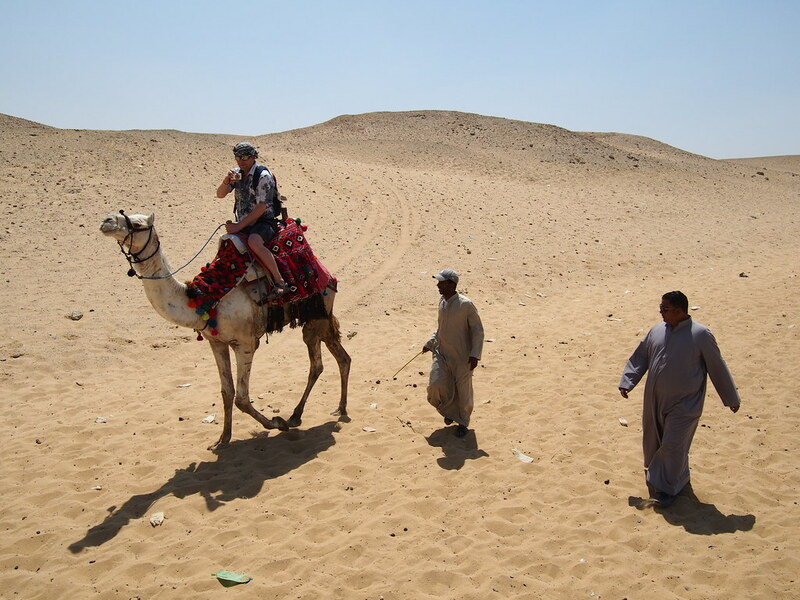 Walking around The pyramides is spectaculare, but also stressful when all the hawkers want your money and attention! 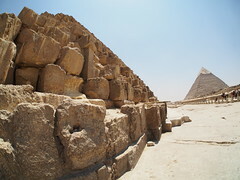 Pyramides of Giza, Cairo, Egypt! 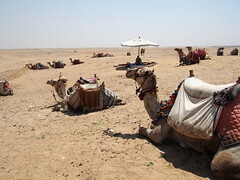 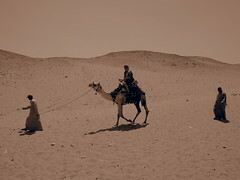 The Camel owners wanted to show us as much as possible, all for fee offcourse! The last remaining ancient Wonder of The world! 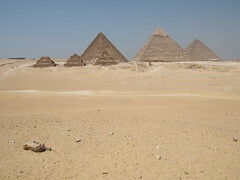 Just realized Im at The pyramides! 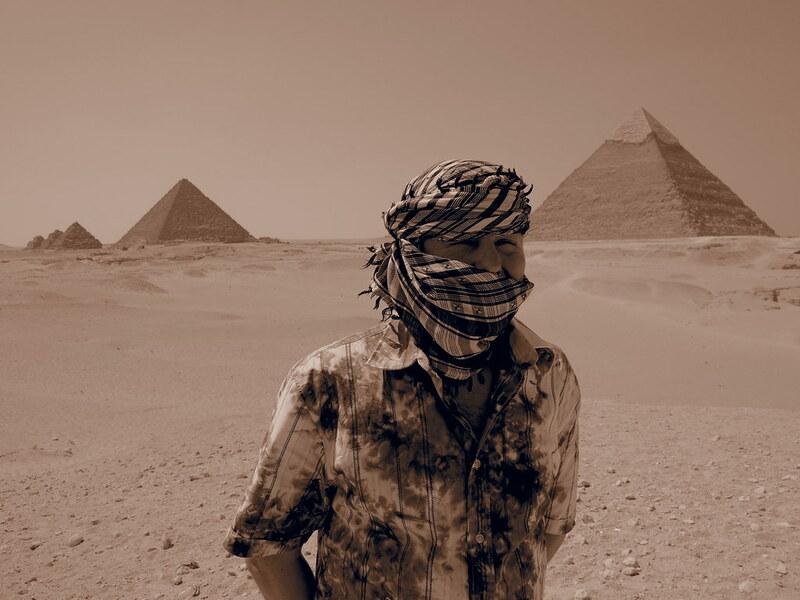 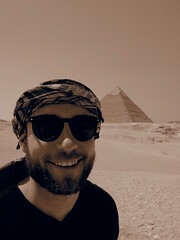 Tor Erling tucked in a bandana infront of The pyramides! 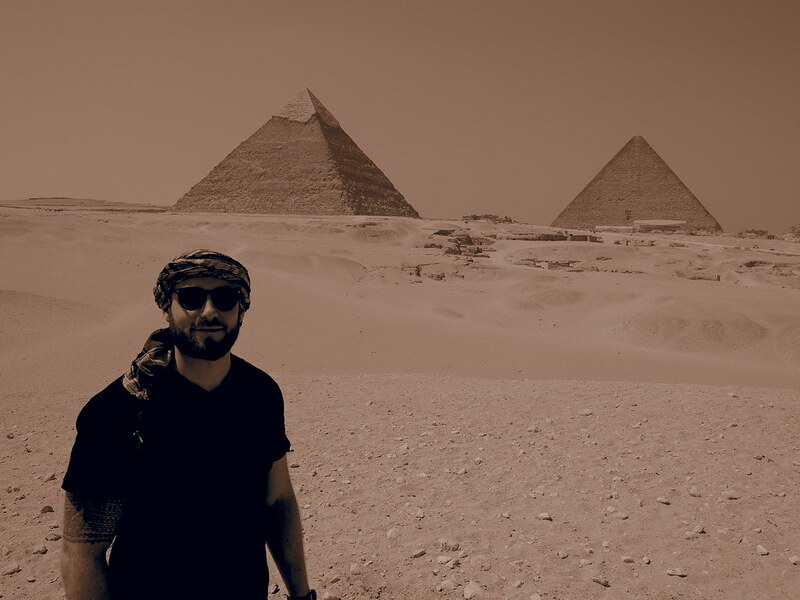 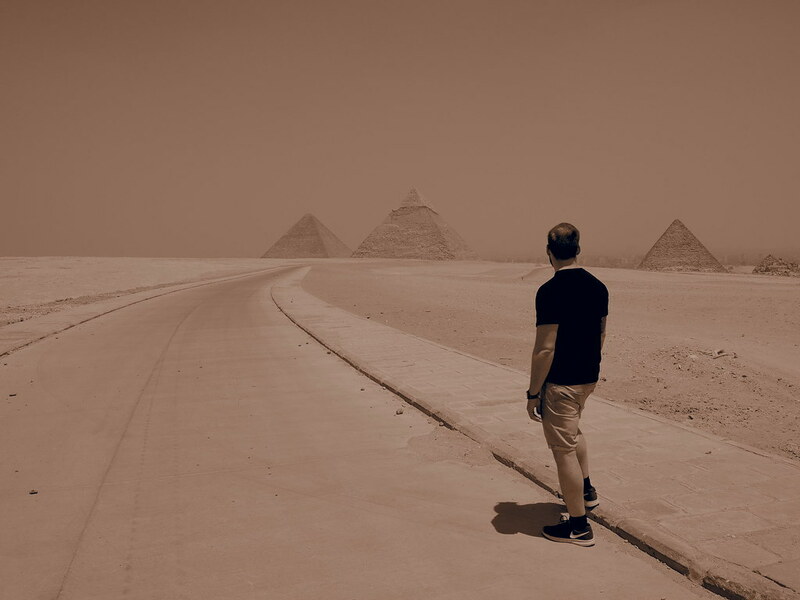 Finally Im here, at the impressive Pyramides! 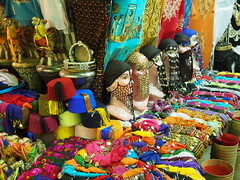 Last minute shopping for suovenirs! 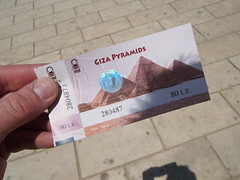 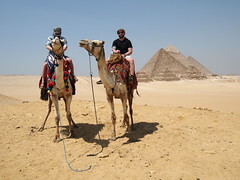 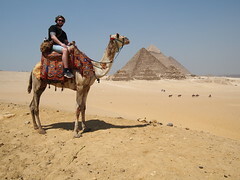 On The Giza platoe near The Spfinx! 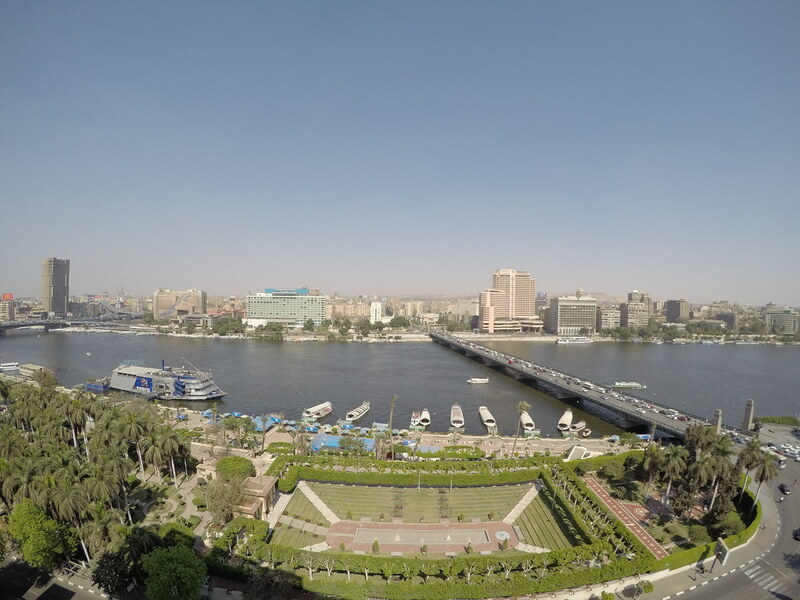 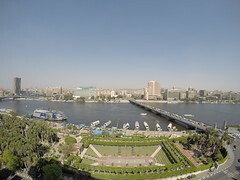 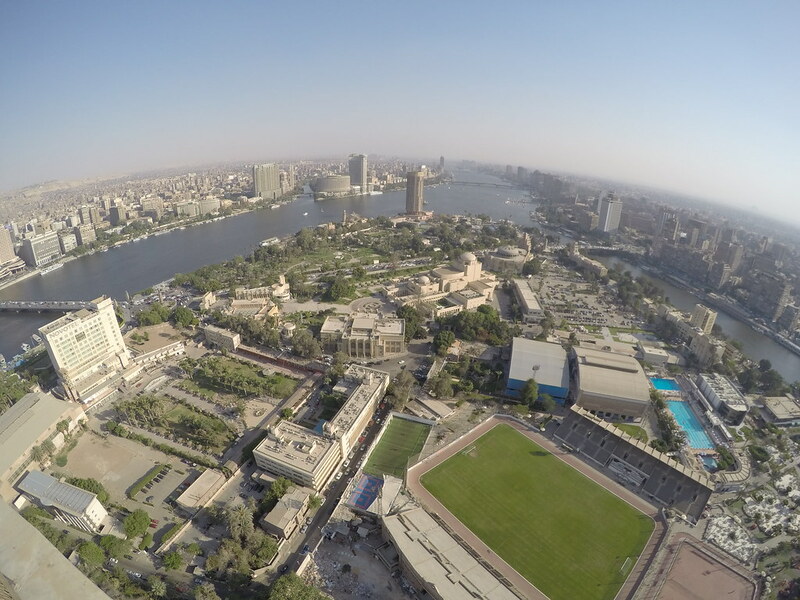 The Nile river Runs directly thru Cairo, that make this a good transportation hub in and out of The city! 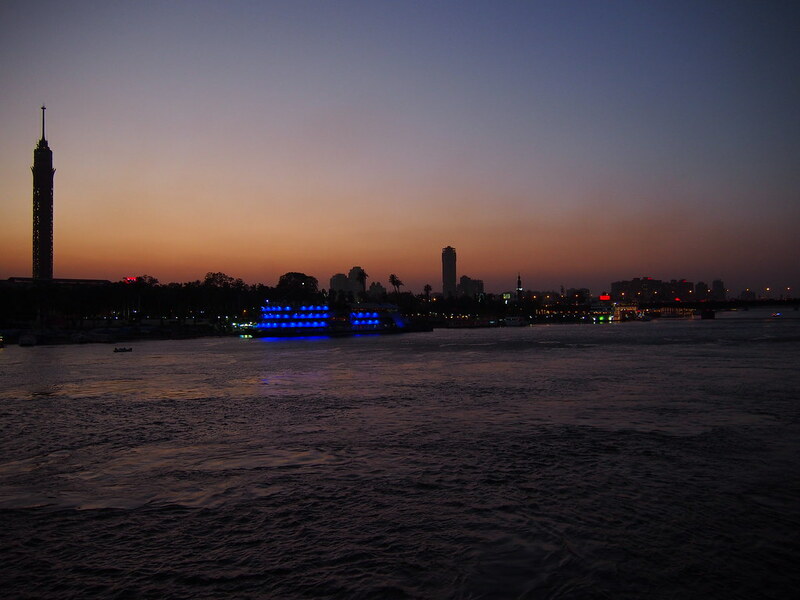 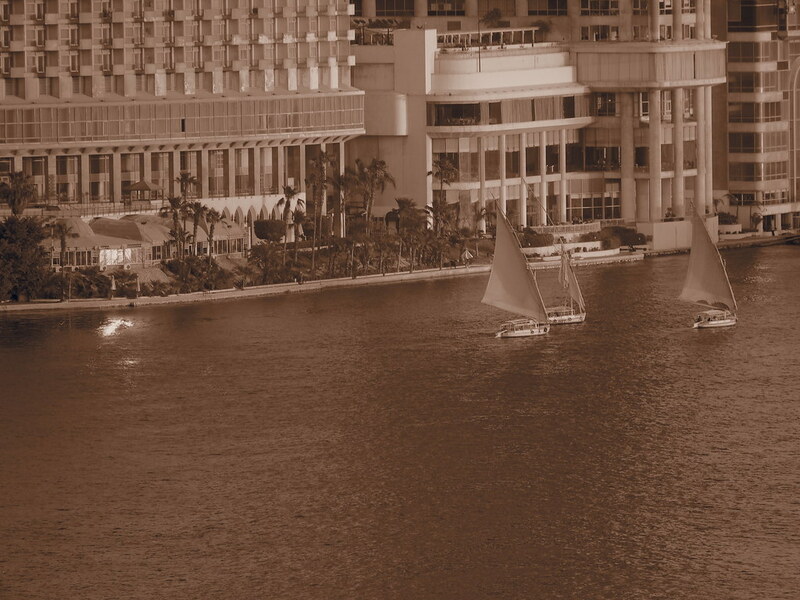 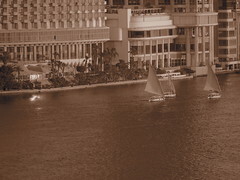 Boats on The Nile river! 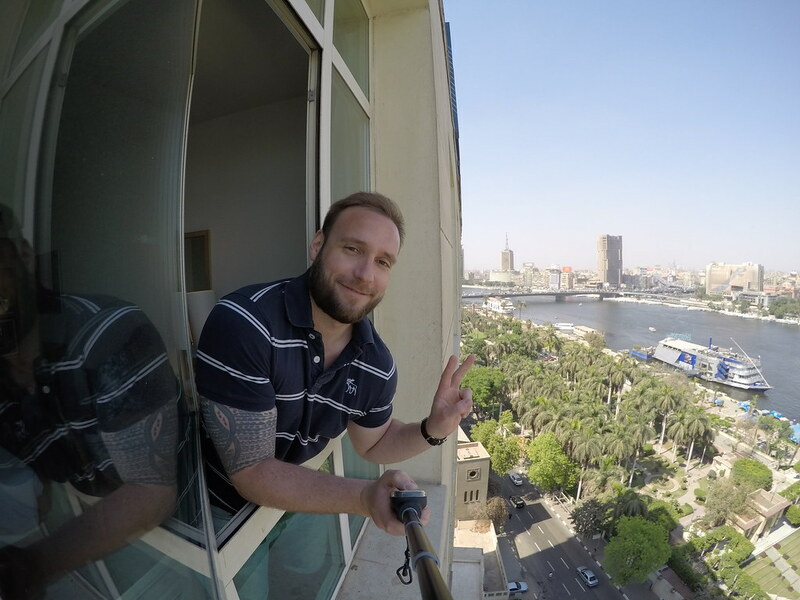 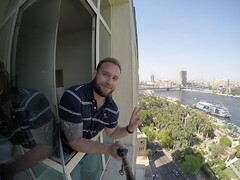 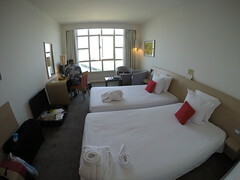 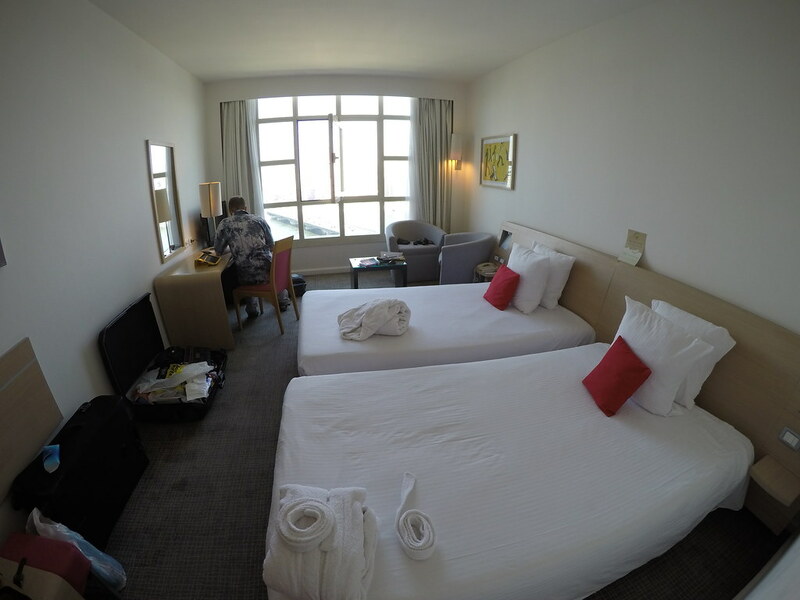 Selfie from our hotelroom with Nile river views!